Last week I showed you the Precision Base Plate and in that Post, I mentioned another tool called the Big Shot Die Brush. I thought this would be the perfect opportunity to talk about this tool since I mentioned it last week and said that you use it in conjunction with the Precision Base Plate. The Big Shot Die Brush was just released in the current Occasions Catalog. 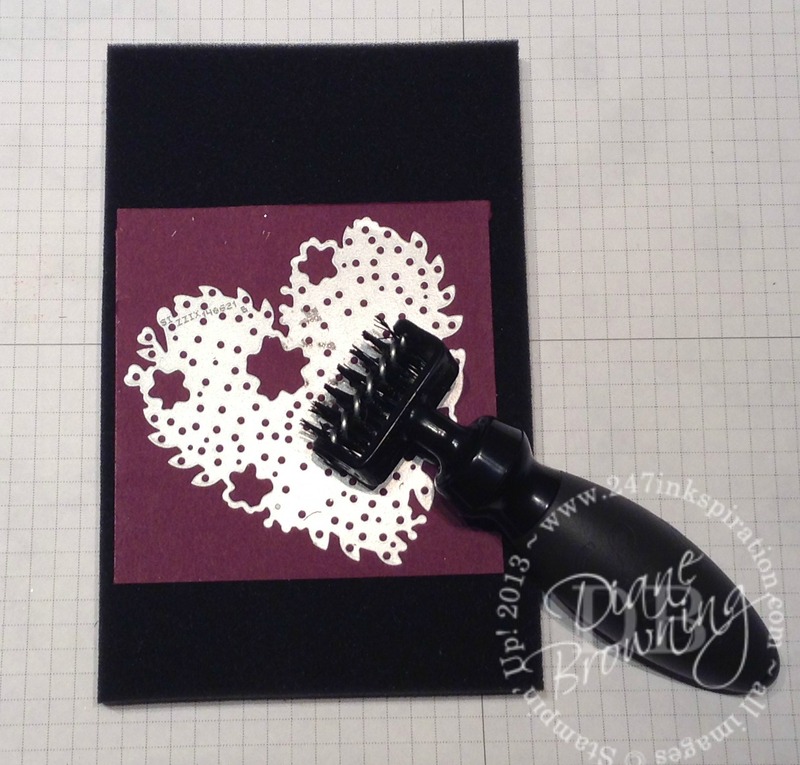 The price for the brush is $11 (a little less if you’re a Stampin Up Demonstrator). The description in the Catalog says “easily removes small cut pieces from dies” and it includes a foam pad that you use with the brush. 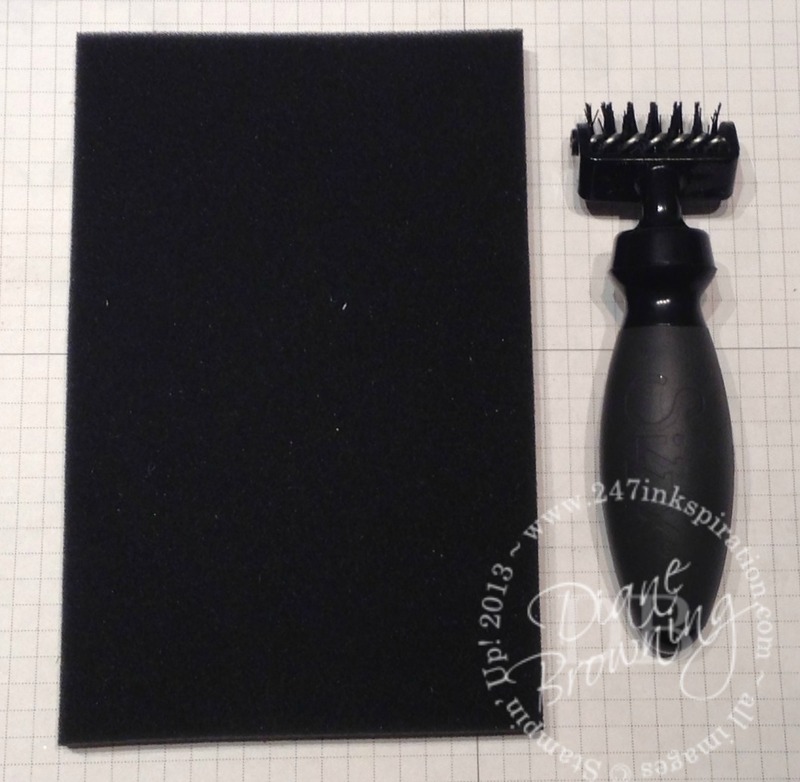 This is the Big Shot Die Brush and foam pad. In that post I talked about the five criteria I use when considering purchasing a new tool. Do I already have something else I’m currently using that does the job? Does this tool add unneeded extra steps to finishing my project? Do I even know what it’s for? So, let’s address each criteria. Not much of a learning curve, you simply roll the brush across your die and the small pieces literally pop out. Stampin Up doesn’t have anything else like this. There are other manufactures that have released something similar and yes I already had an equivalent. In a side-by-side comparison, I do see that the bristles on our brush are slightly longer, which actually makes it more effective because it can reach into really tiny openings. The competitor’s brush didn’t come with a foam pad. But really, you could use any piece of foam. Yes, there are extra steps using the brush, but I did find it to be less time consuming than trying to pick out all the little pieces that didn’t come out on their own. $11 (less for me as a Demonstrator), plus tax and shipping. The Catalog does a pretty good job showing how it’s used so I did know what I was purchasing. After you die cut your image, you place it on top of the foam pad and just run the brush back and forth across the back of the die. If you have a really intricate die, like this one (Bloomin Hearts Thinlet), you’ll want to do it a number of times to get the pieces to pop out. 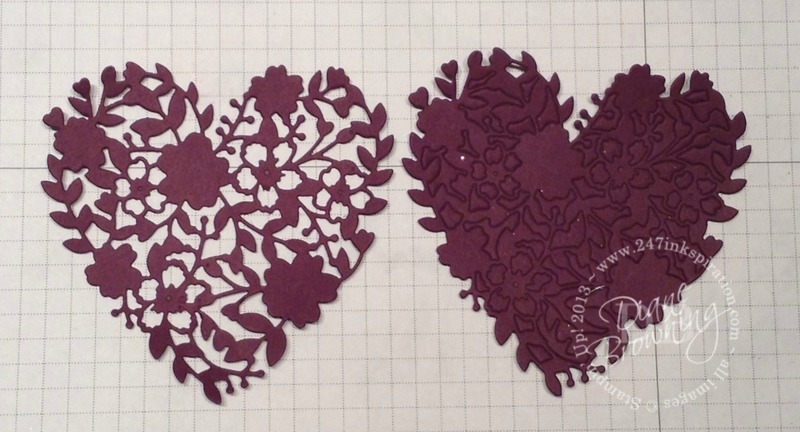 Here is a side-by-side comparison of a die cut where I’ve used the Die Brush and one where I have not used the Die Brush. The one on the lefty is using the Die Brush. The one on the right is before the Die Brush. On the right, you can see that it’s die cut, but the pieces are small enough that they aren’t going to come out on their own. You can pick them out with your fingers or a pokey-tool. Would I buy this tool again? Yes, definitely specially in light of how inexpensive it is! So I can’t let you go without sharing a project too. A few weeks ago, I mentioned that I was having a birthday this month. Well, it was last week. My friend Lyndi gave me this ADORABLE birthday card! I love the dress with the ribbon trim. 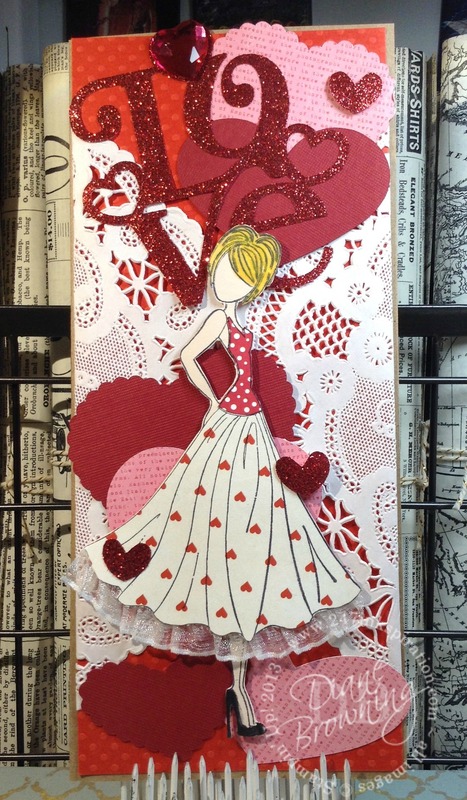 The paper doll stamp is by Julie Nutting and it’s available at craft stores and online; you can google it for more details. Anyway, I just had to share it even thought it’s not a Stampin Up product.